This topic contains 1,160 replies, has 90 voices, and was last updated by metatauta 1 year ago. I love reading this forum and hearing about the successes. There are some big accomplishments here! Very Inspiring for a newbie! My first FD for the month and it’s a bad news, good news story. Bad news—I spent the morning at the dentist having extensive work done. Good news—still so numbed up that I don’t feel like eating and when that wears off I think my mouth will be sore, so fasting will be easy today. Probably just soup later. Exercise does not come naturally to me, I always have a good excuse to put it off, but this month I am going to try to change that, or I should say WILL change that. I am fortunate to live in a beautiful place with lots of gorgeous walks and hikes nearby, so I plan to take advantage of that and do my 10,000 steps a day. Also lift a few weights for bone health. Fast days will be Mondays and Thursdays. That’s my plan and I’m sticking to it! @vtenks a ‘workout’ does not necessarily mean, running or weight training or going to the gym. Is there an activity you once enjoyed? Swimming, dancing, roller or ice skating. Find an activity you enjoy. You like hiking so get out walking. Try doing walking the hiit way. After you have walked for 5 mins- speed up really quickly for say 25 steps, slow down a little for 50 and keep going for the remainder of your walk. You never know you may break into a jog lol. You can swing your arms as well if you wish🚶🏃. Hello friends! Please stay safe (and warm) all of our Irish clan. Through it all I’ve managed to lose about 11 pounds. But I am starting the month more at the 9 pound loss because of all things the month started on a Thursday after two NFD’s. ( I already groused about the unfairness of it in Feb. challenge so I’ll stop). I’m 53, mother to four boys–young men now–and two fur babies who ARE girls! I will be vacationing at the end of the month and wearing shorts so I would dearly love to lose at a little faster pace this month. So I’m going to really focus on that goal and quit “faffing”. My thanks to the Brits for that brilliant word. I found a new quote for March which seems to fit for me especially…so here goes. I’m a mother of three grown up girls and a teenage son. I’m also a grandma of four grandchildren, two girls and two boys. I started 5:2 June 2016 and by end of October 2016 I lost 15 kilos. I’ve regained three kilos since which I’d like to eliminate to reach my target of 64 kilos. This morning I weighed at 67.2 kilos. Thanks At for hosting the March challenge. Hope all the Welsh have had a great St David’s Day – Dydd Gŵyl Dewi Hapus! @basyjames and @redrockgirl302 – as maintainers I have highlighted you in green on the spreadsheet, I hope you don’t mind as I believe that the growing number of maintainers will offer encouragement to others in this challenge! @songbirdme – I wonder if anyone else has been on the challenges since it’s inauguration????? @diverdog – welcome to another challenge month and love your attitude to fasting for health reasons and weight loss is a happy by product! @steffieagle – welcome to another challenge month – WOW your 15th!!! @lindasue – welcome and great to have you with us for another challenge month – Wishing you the happiest of birthdays tomorrow 💐🎂🥂🎁🎈 I just love your attitude to life and you come across as a very happy and contented person – I’m sure that good looking cowboy of yours 💑 will spoil you no end!! @mjrbcd44 – love your new quote and so true! So far 68 have signed up for the March Challenge and 13 are maintainers – How great is that and it’s never too late to join if anyone is lurking in the background and debating whether to join or not???? I’m 67, still teaching this year, and have lost from 245 lbs at my highest. So just over 45 lbs down so far. I lost more quickly as I began October of 2016. The last while it’s been a bouncy plateau time. This forum continues to keep me going. I’m looking to nudge downward 2 lbs at least this month. @daffodil2010 and other folks in Ireland, stay safe during the weather event. @molij – congrats in month #3 of maintenance! @debster251 – TY for sharing your journey of 14 lbs down, then staying even during 3 months of location change, then continuing to lose, and now to fine tune. @toddybear – I’m happy for you to be off to Fuerteventura shortly. Do you go regularly? Tourists or business? Just curious after having lived/taught on Lanzarote a couple of years plus visiting the islands. 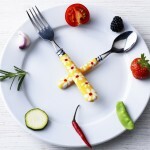 @diana123 – sometimes it’s “food in transit” that shows up in weight loss on a day or two after the FD. I sometimes see that or sometimes a little weight loss followed by more the next day. Also, sometimes it’s due to sodium in some of the ingredients I’ve eaten. Glad to be with you because together we are stronger! I had a good first day back on the plan, keeping my cals under 200 (sort of LFD). I seem to have regained my focus, and feel back on track. I only felt hungry for short periods, and I have confirmed that I find it easier to fast than to maintain a low calorie day. Phew – just made it through the snow & distractions to check-in for the new month! Hello old friends & new, Happy St David’s day Wales, and good luck in Storm Emma to UK & Ireland. I’m 5’6″ & 55 with one grown daughter. I have a neuro condition which affects brain & muscles so I’m always juggling capacity vs enthusiasm! I’ve gained weight steadily through a couple of decades of reduced activity, treatments, stopping smoking, after surgeries & with hormones. I’m vegetarian and have been eating low-carb & gluten-free for a couple of years – less joint pain and better concentration. I’ve generally eaten homemade wholefood stuff for most of my life but portion size, cheese and too many treats were my main downfalls. Last year my weight went up steadily and it felt like a fat suit was growing between me and the world and I was stuck inside. It was a real crossroads moment – continuing down that path or taking action. I found 5:2 and jumped in to the December 2017 challenge! Alongside the numbers have been the wonderful unlooked for benefits – changing my relationship with food, rediscovering a love of experimental cooking and discovering a brand new love of baking gluten-free bread along with my healthy cakes. I’ve also found new energy and better focus, and a new confidence in my ability and ideas. I’ve found myself shedding a lot more than the weight!!! I’m delighted to be part of these challenges and this community. I rejoice in posting daily for accountability, in sharing the wisdom, warmth and encouragement of farflung friends old and new. March goals are to lose 4lbs, to get back into daily adapted yoga and meditation and to continue being sugar-free for Lent. I’m going off on a silent retreat tomorrow – if I can get round the snow and the weekend engineering works! – so will most likely disappear from tomorrow & be back on Monday. Can’t do much about what food I’m offered but will do my best to make healthy choices. Yippee! Down 800gm after a FD and into the 87kg range. The dairy farm excesses are fading! My Westie was 9.6 when he went there and hit 10.3… He’s back down to 10 kg. He’ll reach his goal weight way ahead of me and earn a green maintenance line! To use a great Maori phrase Kia Kaha! or Stay Strong! Love reading all your posts. Enjoying my FD today. Plan to start exercising soon. So glad it’s now Autumn – cooler days ahead. Enjoy whatever you are doing and bye for now! Thank you @daffodil for last months hosting and @at for this month. Holding on at the moment, no gain no loss. Am 55 lbs down with 15 to go. Struggling last few months because life got in the way but kept still, month up, month down. Feeling unwell and so longing for sunshine. Stay safe our friends in Ireland as the weather is bad all over the UK. February marks a downwards trend again. Looking forward to the March challenge. Made myself post this, as I didn’t want to come on here and admit a minor defeat! Friday is weekly weigh-in and I’ve gained 0.2kg. Only the second time in 8 months of 5:2 that I have gained a little. I was congratulating myself on how well I had done in Feb and then I unknowingly self-sabotaged. Don’t know what I did different last week. I even resisted cake and biscuits at a family gathering. Its been very cold here so I’ve been more housebound. Possibly snacking on so-called healthy snacks – which are still calories in. Oh well. Just have to keep going. And remind myself that I often lose a lot a week after not losing much. Hope is a good thing … commitment is better! We are pretty much snowed in here in the wilds of Co Meath. Storm Emma was a huge blizzard which dumped so much snow on us. Can barely see out the windows with the snow, but one thing is for sure, we won’t be getting the car out in that. There is at least a foot of snow on the road outside. It’s still snowing heavily. @coda thank you for the daffodils. I LOVE them, they are truly my favourite flower. My daffs out in the garden are buried in snow but I have at least 4 vases of daffodils dotted around my house. It’s makes me happy to see them every day. 77.2kg. This country doesn’t do snow… spent 9 hours on a 27 mile journey last night to get home. Got here at 2am. Staying put today! My scales at home which i have been following for the last one month, showed iam weighing 76.0kgs. Went to Boots pharmacy to check the weight and shocked to see it showed 77.7kgs, felt really bad. Now dont know which scale is right. So i will take the Boots one to kick off March. Hoping to get down to 73kgs end of March. Need some positive vibes!! Fasting day today, hope it goes well. Well I enjoyed yesterday, the 1st day of Spring ………………& 3 inches of snow!!!!! It had to be a snow day, so no work and as usual a day at home became a NFD but controlled. With 2 successful FDs this week, I’m ok with the change to my plan. This month I’ll focus more on planning my NFD meals, I have the willpower on FDs then go off the rails on NFDs, totally unnecessary if I plan my eating properly I’ll be satisfied, I’m not a natural snacker anyway!!! I’m 34lbs down since embracing this WOL, the plateau is getting boring, so time to pull my finger out, stop faffing around and not stress about this WOL, it SHOULD come naturally!!! Off to Pilates, catch-up a bit more later. I am a day late to the group ..
WEDNESDAY Eat Day / start my fast again at 9 pm PT. FRIDAY: Eat Day / start my fast again at 9 pm PT. SATURDAY Eat Day / start my fast again at 9 pm PT. And on Eat days i will be doing 18:6 ( just to keep myself off from binge eating). Thank goodness we managed to get bird food on Monday before the snow arrived. The Starlings have only just arrived back from winter migration. Mind you, they wouldn’t have been any better off staying South. And if one is to have a broken foot, well now is the right time to stay home, put it up, and enjoy bingewatching Homeland on Netflix. Yesterday turned into an NFD – around TDEE. Slight drop on scale this morning. Must drink more water though. Happy one year anniversary @steve-toon-taxi-driver! Very best wishes in your new home @basyjames. @diana123 – that is fantastic progress in such a short time – well done. The vagaries of the scale you describe are perfectly normal – it’s the downward trend that counts and you’re certainly nailing that! Thanks for your inspirational post @michelinme – I hope you have a lovely weekend and look forward to hearing about it on Monday. Wow – @rainbowsmile – have you got your eye on your next LBD?? You must have missed my post asking if you go to Ceroc for your modern jive? @suresh3101 – if you get weighed first thing at home and maybe an hour or so later at Boots – that would account for the difference. Anyway, don’t be downheartened – it is the downward trend that counts. 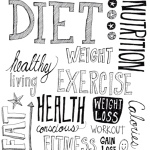 Weight lost is weight lost no matter what the different scales register. Welcome @kruce – great progress so far – keep on keeping on. 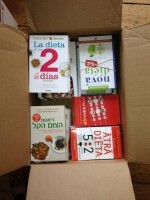 I ordered 3 new books – one on Yoga, one on Food Combining and one on Walking to lose weight. I ordered the latter book because I was intrigued that someone could write a whole book on walking. After your comment on power walking @songbirdme – maybe there’ll be a chapter on that. Glad to begin my 5th month of 5:2 under the seasoned baton of @at along with all of you lovely teammates, new and old! @michelinme – your post really radiates wisdom, warmth and encouragement, it is a feel-good read 😊 Hope you have a wonderful silent weekend! I usually fast on Friday, but was thinking of missing it this week as it’s cold and snowy and my daughter has a ‘snow day’. But I know that tomorrow I’ll wish I made the effort, so going to see if I can hold out with water and plenty of hot drinks. Keep safe anyone affected by the current inclement weather. Snow and ice so I am staying indoors today. @daffodil2010 I will be cleaning the house too in an effort to get some exercise and avoid hibernation mode on the sofa all day! Good FD yesterday and despite the cold weather I didn’t feel cold, odd as I usually do get cold on FDs. I even went out for a walk! I was busy and didn’t get much time to sit for long so maybe that is what I need to do on FDs, keep moving. I really want today to be an FD but today is first Friday and we always eat out after Mass. I’m really glad this week is over, I’m so looking forward to my next two days off. Being such a. Tough week, I’ve kind of slacked on my daily chores. So, I’m going to play catch up. I wanted to say a special welcome to all the newbies, who were brave enough to take the first step in creating a healthy life style and the 5:2 WOL. I’m sure, I’m. Not speaking out of place here when I say that this forum has been a saving grace for many of us on here. We have come together with one common goal but we have also been here for each other in all aspects of life. I do know that the pages move fast but if you need advice, need to vent or just daily encouragement just post your thoughts, there will be someone who will come along and grab your hand, show you some love and help you through. For those experience some bad weather, please be safe. My prayers and thoughts are with you! When someone yells stop, I don’t know if it’s in the name of Love, it’s hammer time or I should collaborate and listen? I’m a mid fifties lady living in North London with my OH. Been overweight most of my adult life, but went into self destruct mode this last 18 months. In 2016 I lost 20kg for my daughter’s wedding and it should have been the spring board to a healthy life but instead I spiralled the other way!!!! This is my second month doing 5:2 and today is my first FD since recovering from flu which gave me a boost to my weight loss of 5.4kg at the end of last month so I don’t know truly where I would have finished otherwise. I’m hoping to just consolidate on what I learnt last month and continue to follow the basic rules of 5:2 and to increase my exercise levels, an Achillies tendon injury in the middle of the month hampered my efforts to do 10,000 steps a day but hoping to pick this back up. Mentally feeling quite strong at the moment so embracing all the sensible things one should do to loose weight. Main differences I’ve noticed in my eating style this past month is that calorie counting made me realise how big my portions were so now I don’t over cook, I only put sensible portions on my plate, I’ve slowed my eating down and can recognise when my stomach say’s ‘I’m full’ and at times I’ve even left food on my plate!!! Other big help is that I haven’t allowed any tempting foods in the house, if I’ve eaten cake etc its been in a cafe where I will share a slice with OH rather than scoff the whole thing if I had it in the cupboard at home!!!!! @lindasue Happy Birthday for today such a joy to hear your love of life. Congratulations. @bigviking – 9hours! Glad you are home safe and warm now. Good luck and best wishes to everyone, seems today weather wise at least, will be another challenging day for us all. I’m enjoying reading the intros from both new and returning members. So motivating! Looking forward to a successful FD today. Tomorrow will be one more birthday celebration for my husband (and one more slice of cheesecake) and then hope to put sugar behind me for a while. Activities planned for today include teaching Gentle Yoga and then two Senior Yoga classes. Planning for at least 5 miles on the (indoor) bike. I’ve been doing a version of HIIT (biking all out fast for 20-30 seconds every two-three minutes during the ride). @ccco glad you’re enjoying yoga – it’s a big part of my life too. You’re right, we do learn so much from participating in this group. Sorry you’ve had to eliminate nuts for now – good luck with the rest of your Mediterranean diet. Another bitterly cold windy day but no snow here as yet! @cornish-jane – a gain of 0.2kg is nothing to get disheartened about – it’s a normal fluctuation within the week…. @kruce – Welcome to the March Challenge – great to have you with us – I have added you to the spreadsheet if you wish to fill in your line…….everyone has access and it is anonymous! @dingping – good to hear you are finally recovering from that nasty bout of flu – good luck on your fist FD for a while – stay strong! Positive Vibes to all those on a FD today and Mindful Eating to those on NFDs. I am soooo glad it’s Friday! It’s been a long week. @lindasue Happy Birthday have a great day ..
Love Fridays as it is curry night. 2 degrees here today thank goodness. We were fortunate and missed out the worst of the snow. Have a good day everyone. Great 450 calorie FD yesterday. Having 2 meals out today, so will do my best to eat judiciously! Hugs to everyone experiencing the crazy and difficult weather around the world! Feeling lucky at least nothing scary here. @lindasue ♫♪♫♪ “Happy birthday to you, happy birthday to you, happy birthday dear Linda Sue, happy birthday to YOU!” ♫♪♫ Hope and pray it is a delightful day! You’re much further into spring than we are in northern Illinois. At least we’ve seen robins! @lindasue Happy Birthday to you enjoy your day. Thank you @strawberriesandcream and @at for the recognition. I have been very strict with my calorie intake and it is working. I have come to love this WOL not only because I see great results but it is so easy for me, I have tried so many diets that didn’t work and the flexibility this WOL gives me has been wonderful. This site has really helped me stay strong. Thank all of you for sharing your journey. Go be love, the world needs you and have a great day/night. I am so glad I found this challenge/thread! I re-started 5:2 2 weeks ago and am so far finding it really quite manageable. It’s funny – I think I actually found it harder last year when I didn’t have a job, than this year when I do. I think when you are not working (but job hunting – I’d just moved to Amsterdam for love) you have to find more to distract you! But here at work, I am accountable to my colleagues who know I am doing it and are supportive, and I am distracted anyway by the work! My life has more structure so I think it is more achievable. @lindasue your post made me really smile, thank you! I also smiled at everyone else’s, it’s been a real pleasure reading them. I usually swim first thing on a Friday, but it was too snowy, so I gave it a miss. I had a bracing walk in the forest instead, where there was at least a bit of shelter from the biting wind. Glad to see you again @pashaw – this must be a difficult time for you. @at – back to Australia again for your wedding ? That must pull on the heartstrings. Even though I am an hour’s plane ride from ‘home’ I always found my family trips made me terribly homesick. There’s still a certain something when I step off the plane at Birmingham airport that says ‘I’m home’. You’re very lucky not to have these blizzard conditions. Have a wonderful day @lindasue and wishing you good health and happiness. @basyjames – good luck with your new home! @hyacinth – good luck with your exercise. There’s nothing nicer that a good day out In the countryside. Don’t get bogged down with the 10,000 steps. It’s believed that the concept of 10,000 steps originated in Japan in the run-up to the 1964 Tokyo Olympics, and it’s only a number. Just enjoy what you do and get that heart pumping a bit if you can! @annemarilyn, @michelinme and all those who are achieving amazing losses both in inches and lbs I salute you. You can only win! @cornish-jane don’t lose heart, it’s just a little blimp. Our body weight fluctuates hourly, daily. Just grit your teeth and keep going. You CAN! @daffodil2010 – we’ve just spoken to OS in Dublin and he said that everywhere was at a standstill. Funny, as I was just about to read your post, OH said to me ‘I wonder how your mate Daffodil is getting on? !’ Normally he doesn’t pay any attention to me and the forum, but I guess your interests in motor sport have struck a chord with him! It isn’t so bad here. We have about 11” of snow around the cars where it has drifted but I think it is about start soon. Stay safe! Off to tick off a few rainy day chores. You don’t get what you wish for … You get what you work for. For the first time for about 6 years, our watercolour group has had to cancel a session. We are based round SW London, and have moved our Friday session from Balham to Putney. We have all been painting for many years, and love our get togethers on Fridays. But good sense has prevailed and we are all staying home. We were due to have a model this week, but she will have to come another time. FD went fine yesterday. I base mine on bone broth, usually with a bit of cream to liven it up, and if I get hungry, I’ll have an apple. I like to keep it simple so I don’t have to think too hard! I usually fast on Wednesdays and Fridays, but my gf and I went shopping and had a nice lunch; I added another meal later in the day that put me over, so I fasted yesterday and came in at 887 cals. due to more olive oil in my new wok than I needed! Will have to be stricter in counting next FD. Thank you everyone, for the encouragement you sent in Jan. and Feb. I’ve logged in, but was in such a state that it was hard to talk. Here’s hoping I get my mojo back. Hi all Day 2 from NI slow day for me. Second post – @lindasue, a very happy birthday to you! I just read my earlier post and boy, I really have the days screwed up, lol! Correction: I usually fast Wed. & Fri. – Wound up fasting Thurs. instead. Calling it a NFD today just because I’m not into fasting today. We’ll see what the day brings. @strawberriesandcream and @at thanks for your kind words. Also from home to boots, i didn’t eat or drink anything in that hour. But this wont let my focus down. Will keep fighting on!! Arrgh just lost a post again! I blame the snow! Suresh, don’t let the scales get you down! Better to stick with one set and just note the changes over time. Have been trying more veg and bean based menus and less red meat over the past 2 weeks. Sticking with my regular FDs (Mondays and Thursdays), my weight continues to drop a regular 1lb per week, so 2lb over 2 weeks. OH, who is naturally slim, and HAS NOT been fasting, has lost 3lb! It’s SO unfair! Why was this FD so easy? I think it’s because I got plenty of sleep and didn’t exercise. I’ve been exercising a lot lately, usually on FDs too, and my body has wanted me to eat more food (even when I don’t need it). But yesterday I didn’t get to the gym and it was much easier to do a LFD! I am going to keep that in mind for planning my future FDs. I know that exercise doesn’t contribute significantly to weight loss, but now I see how it can be detrimental too, and I recall reading a forum here about exactly that. Going to go lighter on the exercise on my FDs from now on! The weather here is terrible. Heavy rain and wind and I got completely soaked on the way to work. I wish it was snowing! Enjoy your Fridays everyone! Remember, the only sure way to fail is to stop trying. Then everything else is just a temporary setback. I stepped on the scale after my shower this morning and I am firmly back in midrange of maintenance. Thank you ADF. @debster251 @Strawberriesandcream thank you! We are very happy and super excited. Moving is a lot of work but when you have wanted it for so long; it’s not as bad. @linda Sue Happy, Happy, Happy, Happy, Birthday to you! @emma Taylor what could possibly go wrong with that scenario, LOL. I attempted to sew myself a cover-up last year; it did not go exactly as planned, but I had fun doing it and plan to wear it at least one day this summer. My very best to you all. Go out there and create your own version of awesome! Babysitting all day today due to my youngest daughter being called on duty at the local hospital this afternoon. Trying to eat as healthy as possible. On Sundays I permit myself red mulled wine and a dessert. Have a great evening/night everyone. Had a really good CD yesterday, slept well so very positive today! FD also going well – I had some scrambled eggs for breakfast which is unusual on a FD as I normally wait to eat until the evening – so I’m hoping this doesn’t backfire! I’m now ready for the biting wind to finish blowing – I know it’s winter and we should expect some cold but thanks – enough now! @annemarilyn – we are back to Fuertaventura as tourists – I would have loved to work abroad – I’m sure working Lanzarote was lovely (we spent a holiday in Playa Blanca a couple of years ago). My post is getting so long, I thought I better write right now and answer others later before I lose my electricity again to these terrine Nor’easter winds. I just ripped my barbecue cover right in half and took a piece of my fence off! Oh, well! Can’t fight nature! At least my furniture is safe! My NFD turned into a FD due to the fact I am too tired to eat due to almost no sleep and I will try to take advantage of this! I really better sleep tonight! I can barely function but I can respond to these posts! Just brought in my barbecue to keep it from further damage! michelinme: Congrats! You’ve been doing such an incredible job! 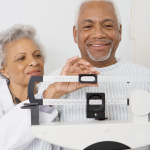 I know how health problems can impact weight loss! I’ve seen it in my sister who also gains weight as a side effect of her medications. I would love to hear more about your silent retreat. It sounds interesting and might be something I would consider! Take care! merryapple: Congrats! It’s my second month, too,, and I am suddenly down 3.4 lbs. I am in seventh Heaven! I love that your Westie is your weight loss buddy! 🙂 I love Westies! So adorable! That’s a great team! 🙂 WTG! cornish-jane: I am right there, too. I had a disappointing February and hope for a much better March. This weather does make exercise a challenge, though! My thoughts are with you! Dingping: Sounds like you have a great plan! I also got rid of all temptations from my house! Funny, though! Last night, I had an enormous craving for peanut butter! Fortunately, I had none and all stores were closed. The cravings past an I had a successful FD! Yay! Stay strog! AT: Love that quote from Doe Zantanata. I copied it for my children! Stay strong! Borealis: Money saving is great! I am saving for a massage once I meet my March goal Love massages! Maybe it will help my cortisol levels to drop, too! I love your Antoine de Exupery quote! Stay strong! BigViking: Wow! Now you know our challenge over here in the Northeast and Northwest USA! The snow in the Northwest can get has high as a two story building! Yup! Time for a vacay to the Caribbean or the Mediterranean! I’d recommend lots of hot coffee, tea, and chocolate but then you might end of like me….no sleep! LOL Stay strong! No scale so I can’t weigh in this morning. Oh well hopefully it will give me a week to really show progress! So many great and long posts and just don’t have time to reply to all…. hopefully tomorrow morning will. To all in the snow zone–stay safe!! Be warm and enjoy a good sit in front of the fireplace. Successful FD yesterday and back down to goal weight. But a little more wiggle room would be nice. So mindful eating today! To all of you dealing with the cold weather this week, hot soups and a variety of interesting teas have been helpful in keeping me feeling full here, especially on FDs. I always seem to forget how much fuller lots of liquids can make me feel. @lindasue, Happy Birthday! Hope it’s the best one yet!